When first beginning your homebrewing journey it may be very tempting to rush your rise to brewing glory by jumping right into some impressive-sounding Imperial IPA, Russian imperial stout, or perhaps, a Barleywine. Well, not to discourage you, but brewing complex beers such as these can leave tons of opportunity for making mistakes, which would ultimately ruin your investment. Even worse, a lack of initial success could rub you the wrong way and even turn you off to homebrewing altogether, which would be the worst part of it all. Really, unless you have an experienced brewer providing close guidance, your best bet is to start out brewing a less complex and more forgiving recipe so you can lock the process in while learning the ins-and-outs of homebrewing to apply towards more involved styles in the future. It’s advisable to stick to using ingredient kits of some kind whether extract or mini-mash so long as they incorporate malt extract. This way you can be sure that you’re getting the necessary sugars and base for the beer. Here are five well-known beer styles that can be just as much fun to make, and if don’t screw it up, are all sure to please the palates of all your friends. Plus, these styles are very versatile and great for any time of year. 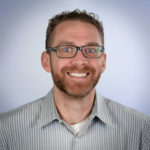 The American wheat is, well, the American version of a popular style of beer that finds its roots in Germany — the German Hefeweizen also referred to as the Bavarian Hefeweizen. The style is characterized by a light to medium body, a cloudy appearance and notes of citrus, banana and clove. The grain bill should consist of anywhere between 50% and 70% wheat allowing the beer to have a certain fluffy characteristic, which can also be seen in the head when poured. The main difference between the American and German styles is the hop and yeast usage. The German style uses subtler hops with German yeast, while the American version can have a more noticeable hop profile while utilizing American ale yeast. The style is perfect for the spring and summer months but really does make a great year-round beer. It has flavors, aromas and a lighter body that are even sure to impress the picky beer drinkers. A typical extract ingredient kit for this style can consist of wheat malt extract, 1-2 oz. of hops for bittering and aroma, as well as ale yeast. 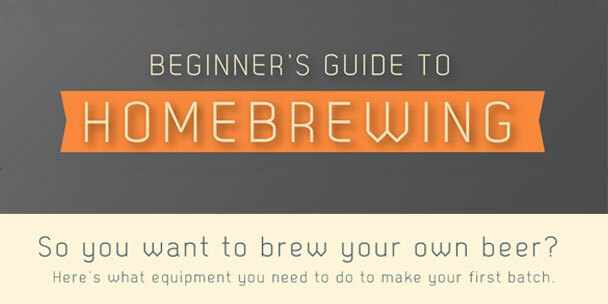 If you like this style of beer, then this is a great option for beginner brewers. The Amber ale is a well-balanced beer that has become a favorite among many beer drinkers. It is not overly-hopped, and does not have a single characteristic that overpowers another. 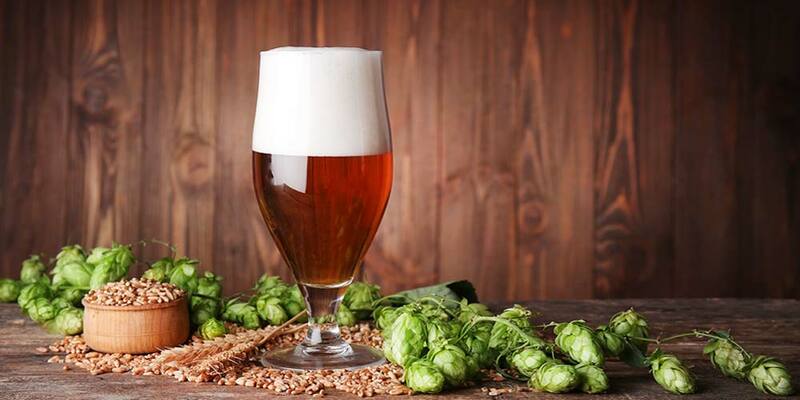 While the grain used for brewing an amber ale can be similar to pale ales, the amber style is made with lower alpha-acid hops which leads to a far less resinous and pronounced hop profile. This reduced hoppiness allows the malt to play a bigger part in the show. Also, amber ales are made with darker roasted malts in addition to light malt, which is where the reddish amber color is derived from, as well as the subtle caramel and toffee notes that are often found in the style. While amber ales can take on the characteristics of any ingredient you bring into the mix, they tend to be relatively simple recipes ultimately making for a more straightforward beer that leaves less room for mess-ups. 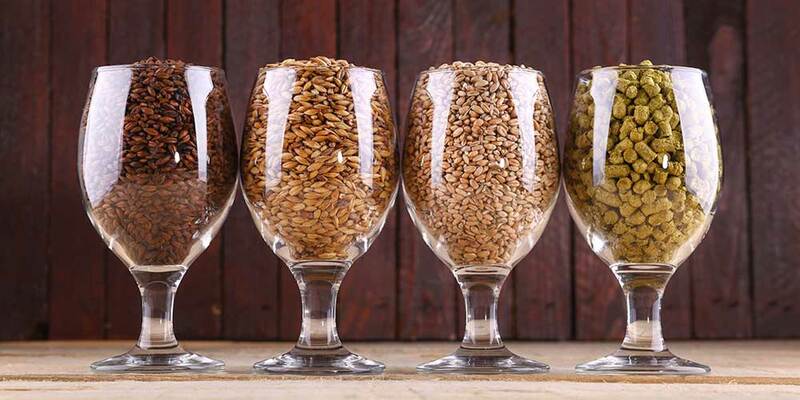 A typical ingredient kit for brewing an amber ale recipe can consist of light malt, dark malt, 1-2 oz. of hops and ale yeast. 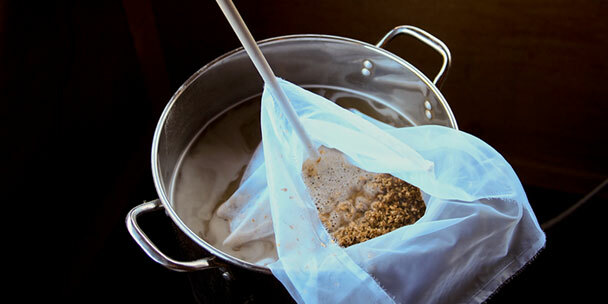 The Brown Ale is a very simple style that can be a great first choice recipe for a beginning homebrewer. This style can be classified as being American or English, with the former having a greater hop presence. The American brown ale will use American hops and yeast, while the English version will use ingredients grown across the pond. Like the amber ale, both are well-balanced but slightly darker in color due to the use of a greater amount of dark malt. They have a light to medium body and are great for brewing and enjoying all throughout the year. While the brown ale can be a very forgiving style, in the case that you find you still don’t want to drink it, the style makes a great ingredient for cooking and the beer doesn’t necessarily have to be perfect. The ingredients used in brown ales make them a great complement to lots of foods. Somewhat similar to the amber ale, the American Pale Ale differs in that it employs the use of hops in a much more aggressive manner. 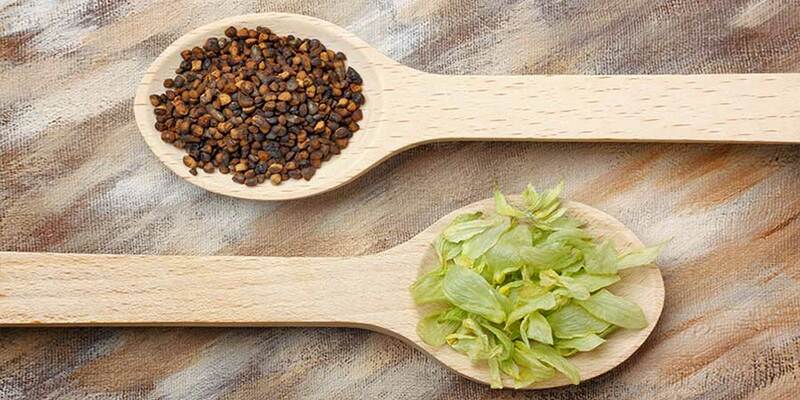 The grain bill, or malt extract used could be very close to one another, but the introduction of higher quantities of more pronounced hops can completely change the overall flavor profile of the beer making the two very different. 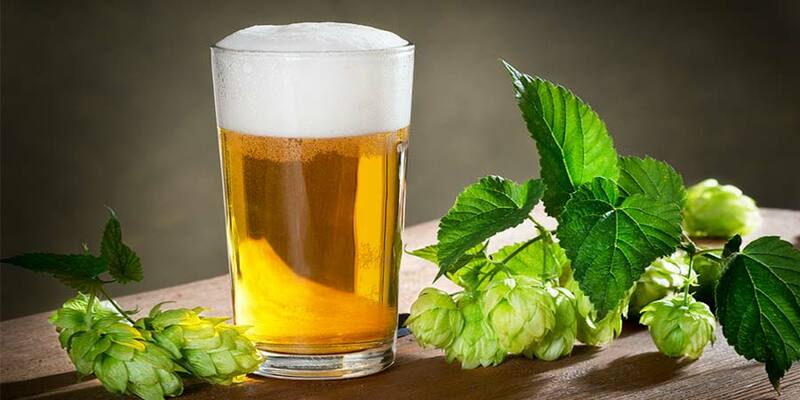 The good thing is that hops can be very prominent in any style of beer when used in a more aggressive manner, and when done so with a pale ale, the hops can sort of mask mistakes that may have been made. This is what makes it a great style for new brewers. While you shouldn’t go using hops as a bandage for brewing a bad beer, it can certainly help take a less-than-perfect beer up a notch or two. Depending on the type of pale ale you’re brewing, hops will likely be added at multiple intervals during the boil for bittering, flavoring and aroma. Pale ales are going to have a higher IBU than amber ales, as well as also a higher alpha-acid hop for bittering at the start of the boil. A typical pale ale ingredient kit can consist of light malt, crystal malt, 3-4 oz. of hops, and ale yeast. In extract kits, if the malt extract is hopped then it may not require or include as many hops for use during the boil. The porter is somewhat similar to the brown ale, and is perhaps one of the most forgiving styles of beer to make. Whether you go with the American or English version, the forgiving nature of this style makes it a great candidate to start with when you’re first learning how to brew. The incorporation of dark malts, such as chocolate malt, allows this style of beer to be rather resilient when it comes to dealing with mistakes. While it isn’t a guarantee that you’ll create an award-winning batch on your first attempt, its flavor profile has the ability to “cover up” inconsistencies that you may create during the beermaking process. Deep within the depths of a porter’s dark and roasted flavors, you’ll find that any sort of off-flavor won’t be as pronounced, and may not even be detecetd at all. A typical porter ingredient kit can consist of dark malt extract, chocolate malt and other specialty grain, and 1-2 oz. of mild hops. You’ll find that your ingredient kit options here will include everything you’ll need to make a solid porter. I have brewed three batches of brew the latest was a coopers I keep getting a off flavor I can’t under stand why I thought it my be the temperature but it held around 70 to 73 fermenting for 9 days…..Help ???? ?